Cure Cancer Australia Foundation is at an exciting time in its evolution; with a dedicated board, a strong leadership team, expert staff, and a proven track record for excellence and innovation. They are looking for a CEO who can build on the organisation’s existing strengths and lead it through its next exciting phase of growth. 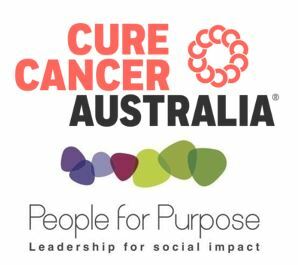 In this role, you will provide strategic direction and inspirational leadership to ensure the achievement of Cure Cancer Australia’s mission, organisational objectives and financial sustainability. Using your strong leadership skills combined with exceptional relationship management skills, you will be committed to empowering the team and engaging a wide range of internal and external stakeholders including a committed Board of Directors, the Executive Leadership team, cancer communities, researchers, pharmaceutical companies, donors and donor organisations, government, NFP leaders and volunteers. Your leadership style will enhance a strong team culture, create role clarity and accountability for the team, while nurturing the autonomy required for innovation. You must have demonstrated and proven leadership experience coupled with commercial experience. You are able to last the distance in building up long term partnerships lucrative to the Foundation, and are capable of working collaboratively and managing complex stakeholder relationships across a diverse range of audiences. This is an outstanding opportunity for a collaborative leader with a strong leadership style, strategic and people management skills gained in the public or the private sector, in an organisation of equivalent size and complexity. Experience in, or exposure to a non-profit organisation is highly desirable but not essential. This is a full-time role, with competitive remuneration, located in Sydney. The Cure Cancer Australia Foundation aims to find a cure for all cancers through the promotion of innovation in research. They believe early-career researchers - who offer new ideas and challenging perspectives - are the key to advancing the fight against ALL types of cancer. To this end the Foundation funds the brightest, most innovative early-career researchers so that they can advance their research project into cancer cures and preventions. Foundation support covers salary and any research assistance or materials for the specified project. Over the past 50 years, Cure Cancer Australia has funded almost 500 research grants to over 300 individual early career researchers. Indeed, many Cure Cancer Australia researchers who received their funding early in their careers are now amongst Australia’s most prominent cancer researchers.